This Sunday March 31st, Join our team from 2-4pm at this beautiful home for sale in Pewee Valley! You'll love this spacious four bedroom 3 1/2 bath home on an acre lot! Beautiful surroundings & great layout. There is also a 4 1/2 car detached garage with attic above! Call 502-371-1173 to learn more about this home or feel free to explore our site to see other open houses this weekend! 7404 Wilcotte Ct, Prospect, KY 40059 is a spectacular four Bedroom home with an open floor plan in desirable Sutherland! The home includes four and a half baths and over 5300 square feet of living area. An expansive front yard with mature trees, brick exterior, and circular drive give incredible curb appeal. 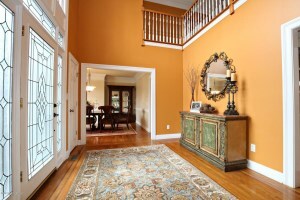 Enter to a two story classic foyer. To the right is a professional Office and to the left a Dining Room. Glistening hardwood flooring leads into the gourmet Eat in Kitchen showcasing plentiful cabinetry, breakfast bar, new dishwasher, double oven, and dining area surrounded by windows. The Kitchen is adjoined by a wonderful Hearth Room displaying one of three fireplaces in the home. The Living Room features built in bookshelves & fireplace. New owners will appreciate the spacious Master Suite with oversized walk in closet & luxurious Master Bath with new shower and soaking tub. Three more Bedrooms are also located on the second level (two connected by Jack and Jill bath). There is also a Full Bath off of the hall that rounds out the second floor. 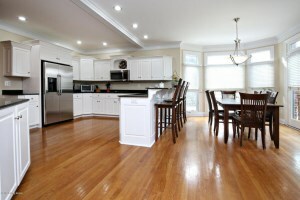 The finished basement opens to a large Family Room and Recreation Room with all new flooring. The basement also has another Full Bath. 7404 Wilcotte Ct, Prospect, KY 40059 offers a well landscaped back yard that is perfect for parties and barbecues along with two separate decks for outdoor entertaining. A new roof was put on in 2016. 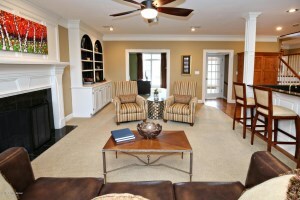 There is also a 3 Car Garage, Zoned heating/cooling, built in cabinetry, & security/irrigation systems. Incredible neighborhood amenities include tennis courts, clubhouse, pool, walking sidewalks, and playground. 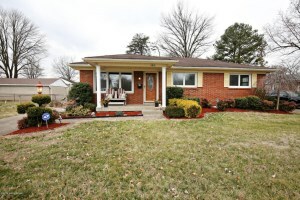 Call 502-371-1173 for more informaiton about this wonderful property or to schedule a showing today. Join our team this Sunday March 17th for Three Open House Opportunities! 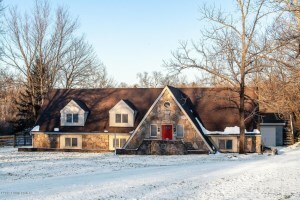 Come out and take a tour of one of these beautiful homes for sale in the Louisville area! For questions about local real estate or neighborhoods in the Louisville area call 502-371-1173! Join our team this Sunday March 10th at our brand new listing in Cobblestone. You'll love this 2 bedroom, 2 Full Bath condo with 2 car attached garage. We would love to give you a tour! 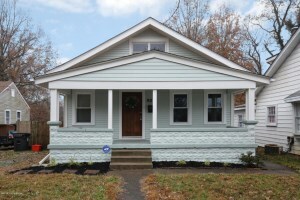 Feel free to browse our site to view other open houses this weekend in Louisville, KY. This Team is Awesome! They are very professional, prompt and simplify the home buying process for those of us that have a million other things to do. Without them we would never have our new beautiful home. Thanks !